For golfers, one of the luxuries of living in a southern Arizona city is the array of affordable golf courses in Tucson and the surrounding cities. Tucson boasts over 340 days of sunshine and a wonderful all year around climate. OK, summer days can be hot, but with an early tee time you will be done before the peak temperatures of the day. There is also a good mix of public, semi private and private golf courses in Tucson AZ. Based on you golfing skills, lifestyle and financial resources, one can select from a list of great places to play in, and around, Tucson AZ. Here is the list of golf courses in Tucson and the greater Tucson metro area. 10556 N La Canada Dr.
38691 S Mountain View Blvd. Here is the list of golf courses in Green Valley AZ. Here is the list of Tucson AZ Golf Courses in the surrounding areas. 800 E. Country Club Dr. 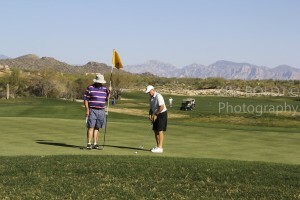 There is a wide range of golf courses in Tucson to choose from. Whether you carry a high or low handicap, there is a golf course in Tucson AZ that will fit your skills and interests. If you are considering a move to Tucson AZ for a job, future place to retire or looking for that winter retreat, we can help!